WEST LAFAYETTE, Ind. 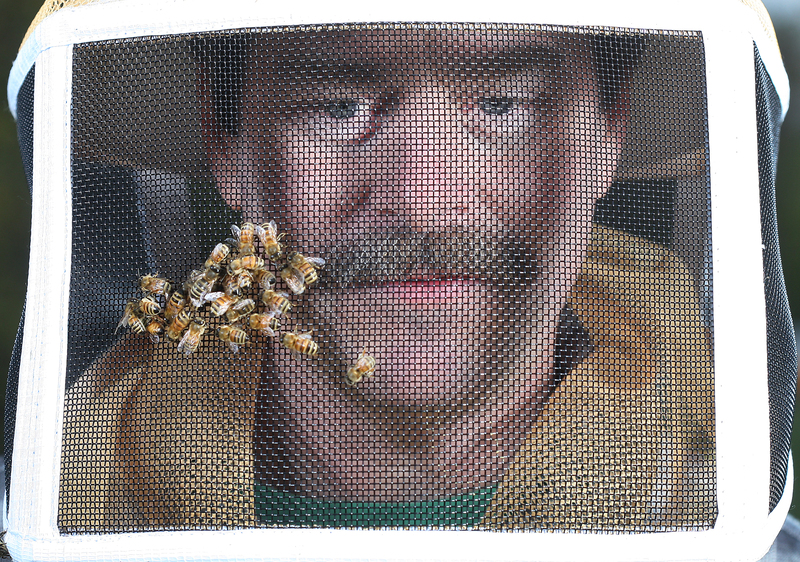 - Purdue University researchers are zeroing in on genes that help honeybees defend against varroa mites, one of the largest factors in bee population declines. Populations of honeybees in North America have been experiencing high annual colony mortality for 15–20 years. Many apicultural researchers believe that introduced parasites called Varroa mites (V. destructor) are the most important factor in colony deaths. One important resistance mechanism that limits mite population growth in colonies is the ability of some lines of honeybees to groom mites from their bodies. To search for genes influencing this trait, we used an Illumina Bead Station genotyping array to determine the genotypes of several hundred worker bees at over a thousand single-nucleotide polymorphisms in a family that was apparently segregating for alleles influencing this behavior. Linkage analyses provided a genetic map with 1,313 markers anchored to genome sequence. 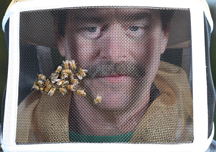 Genotypes were analyzed for association with grooming behavior, measured as the time that individual bees took to initiate grooming after mites were placed on their thoraces. Quantitative-trait-locus interval mapping identified a single chromosomal region that was significant at the chromosome-wide level (p<0.05) on chromosome 5 with a LOD score of 2.72. The 95% confidence interval for quantitative trait locus location contained only 27 genes (honeybee official gene annotation set 2) including Atlastin, Ataxin and Neurexin-1 (AmNrx1), which have potential neurodevelopmental and behavioral effects. Atlastin and Ataxin homologs are associated with neurological diseases in humans. AmNrx1 codes for a presynaptic protein with many alternatively spliced isoforms. Neurexin-1 influences the growth, maintenance and maturation of synapses in the brain, as well as the type of receptors most prominent within synapses. Neurexin-1 has also been associated with autism spectrum disorder and schizophrenia in humans and self-grooming behavior in mice. Varroa mites (V. destructor) are a major threat to honeybees (Apis melilfera) and beekeeping worldwide and likely lead to colony decline if colonies are not treated. Most treatments involve chemical control of the mites; however, Varroa has evolved resistance to many of these miticides, leaving beekeepers with a limited number of alternatives. A non-chemical control method is highly desirable for numerous reasons including lack of chemical residues and decreased likelihood of resistance. Varroa sensitive hygiene behavior is one of two behaviors identified that are most important for controlling the growth of Varroa populations in beehives. To identify genes influencing this trait, a study was conducted to map quantitative trait loci (QTL). Individual workers of a backcross family were observed and evaluated for their VSH behavior in a mite-infested observation hive. Bees that uncapped or removed pupae were identified. The genotypes for 1,340 informative single nucleotide polymorphisms were used to construct a high-resolution genetic map and interval mapping was used to analyze the association of the genotypes with the performance of Varroa sensitive hygiene. We identified one major QTL on chromosome 9 (LOD score = 3.21) and a suggestive QTL on chromosome 1 (LOD = 1.95). The QTL confidence interval on chromosome 9 contains the gene 'no receptor potential A' and a dopamine receptor. 'No receptor potential A' is involved in vision and olfaction in Drosophila, and dopamine signaling has been previously shown to be required for aversive olfactory learning in honeybees, which is probably necessary for identifying mites within brood cells. Further studies on these candidate genes may allow for breeding bees with this trait using marker-assisted selection.